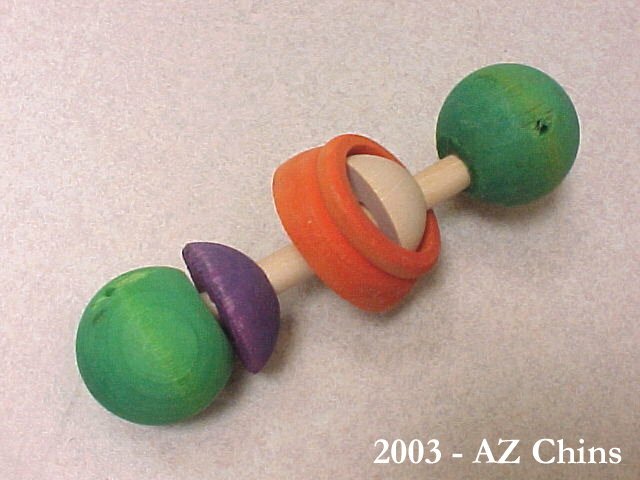 Description: This toy is made from chinchilla safe pine. Any colored pieces are dyed with human grade food dye. It is the perfect size for chinchillas to drag and toss around the cage. Colors will vary a bit or may be completely natural in color, but the basic size and shape will stay about the same. Some have different types of sliding pieces and end pieces. Let me know if you'd prefer a certain color. The total length of the toy is about 6 inches.